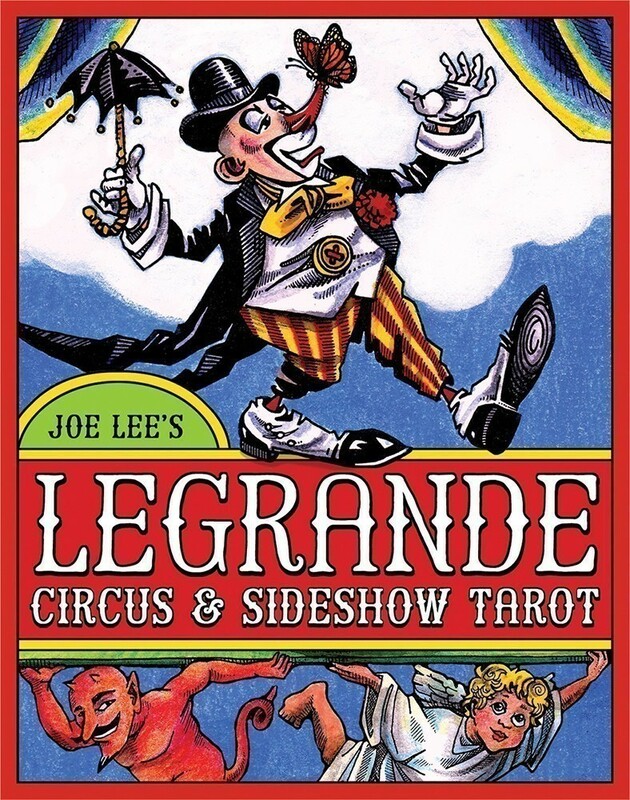 Filled with circus and sideshow lore, LeGrande Circus & Sideshow Tarot is set in the glitter and mud world of the mid-century truck show. 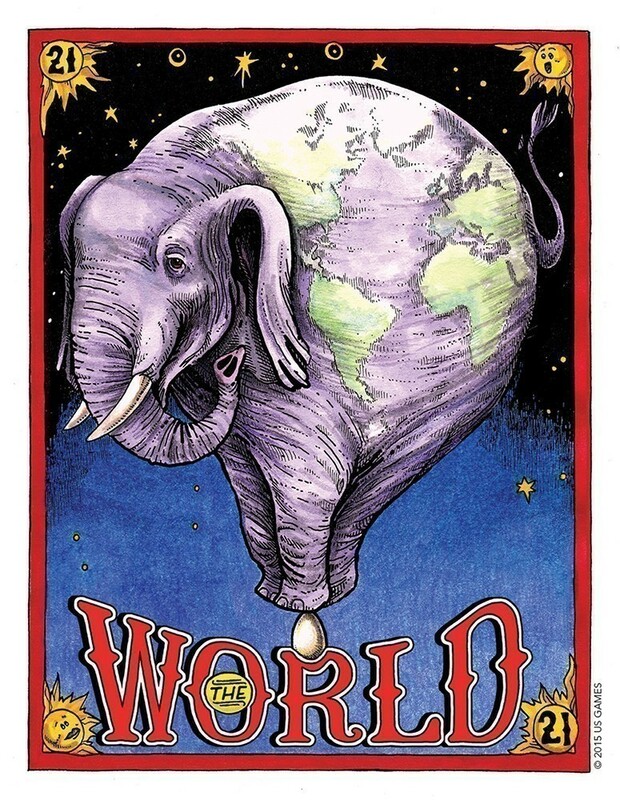 The Major Arcana is colorfully illustrated in the bravura style of vintage circus posters. 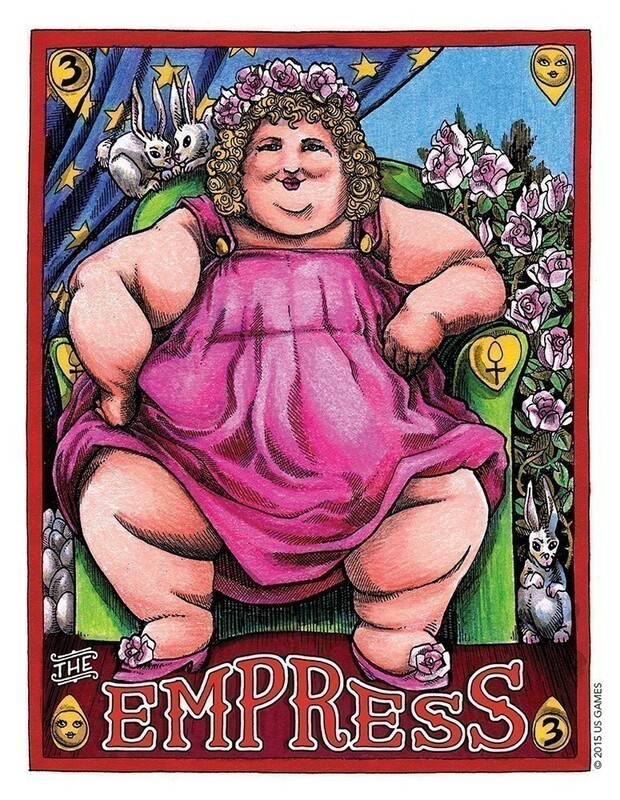 Each tarot archetype is represented by a corresponding icon of the circus: the Emperor as the ringmaster, the Hermit as a tramp clown, the Sun as the blazing figure of a tiger leaping through a ring of fire. 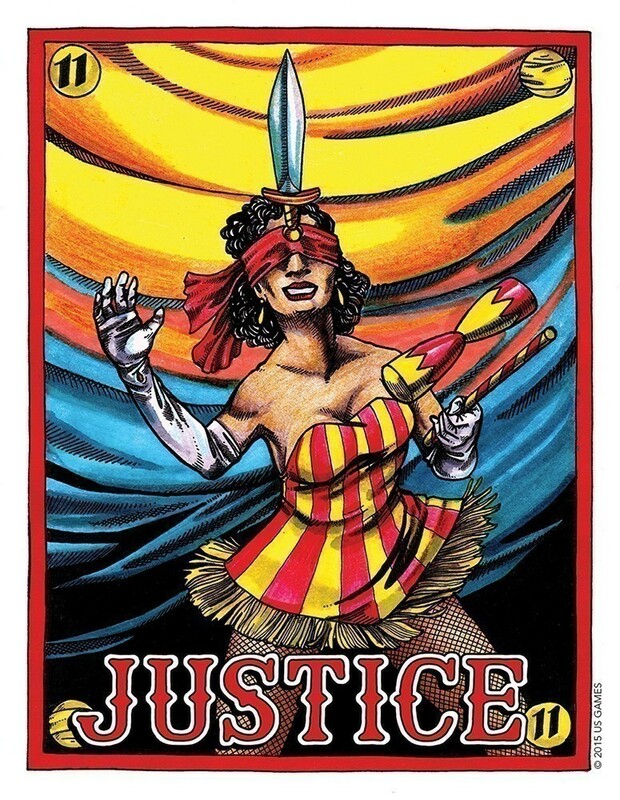 The Minor Arcana offers glimpses of the day-to-day life of the circus and sideshow with each suit representing a different aspect of life on the circus lot. The suit of Cups is the world of performance under the big top. The Swords are embedded deep in the bizarre and sometimes frightening heart of the sideshow. Each symbolically charged pasteboard will “step right up” and take the user deeper into this mysterious realm. The Coins represent the business of the show—the “front-end” with its managers keeping the troupe on the road and the “butcher” hawking his “floss” and popcorn in the stands. No one enters this realm of dreams without the work of the Wands, which conjure the backbreaking work of man and animal to raise the tent and create this palace of wonder. The stakes and tent-poles are the magic wands of this suit and no show can exist without the elemental magic of sweat and strain. Includes 78 cards and 60-page booklet, with upright and reversed meanings. 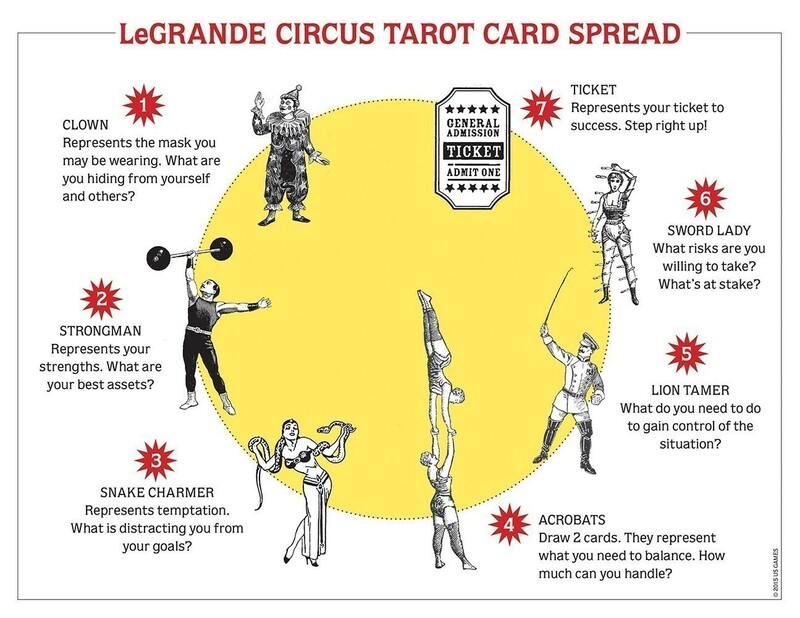 Bonus: LeGrande Circus Card Spread by Jody Boginski and Lynn Araujo. Click here for printable spread. Joe Lee has been clowning around since his early days in rural Indiana. In college he juggled art studies with a degree in medieval history. Joe furthered his education at the Ringling Brothers, Barnum and Bailey Clown College. He then worked as a professional circus clown with Ringling Brothers and other shows. After leaving the circus life, Joe moved to New York City where he studied and later taught art classes. Joe had occasional gigs as a fire eater. Joe returned to Indiana where he currently lives and works as an illustrator. He illustrated and wrote a number of books including The History of Clowns for Beginners. He is a regular contributor of editorial cartoons to the Bloomington Herald-Times. Joe has been teaching cartoon art and illustration for over nine years. 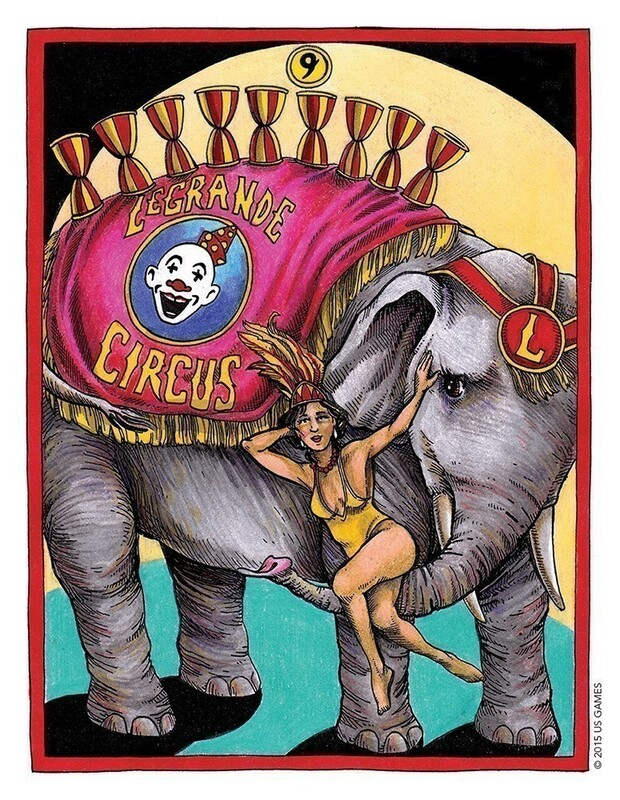 Joe’s life-long interest in the circus prompted him to create the LeGrand Circus Tarot deck. His vibrant artwork begins with black and white ink drawings, which he then colors with colored pencils, markers, and watercolors. 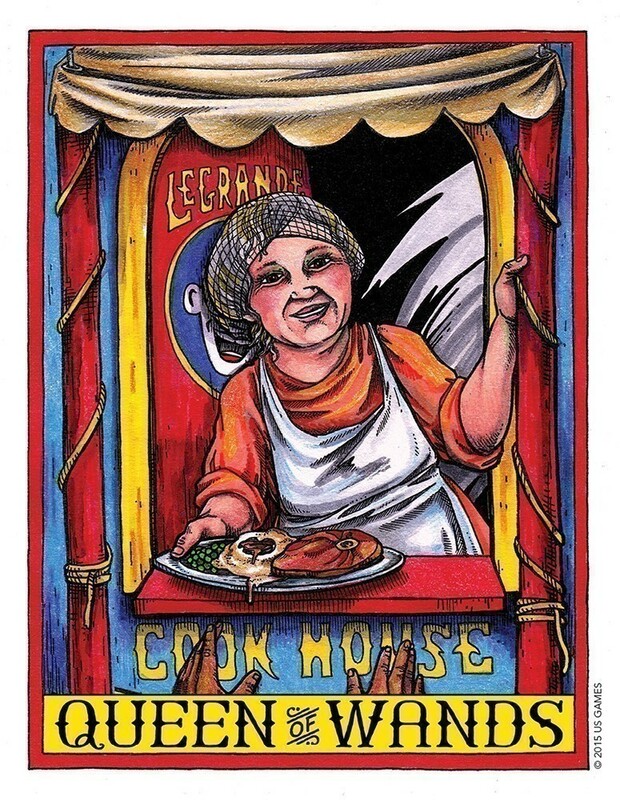 The 78 cards showcase Joe’s talent as a cartoonist and are reminiscent of mid-century circus posters. 78 cards, 3.438" x 4.438"
I love the nostalgic feeling that these cards bring with them and the adaptation to the way of Circus life is brilliant. The major arcana cards, court cards and aces are labeled on the front. The pips are not labeled but are easy to identify so there’s no confusion about what card you’re looking at in a spread. The downloadable tarot spread is a wonderful touch. I’ve printed this out on plain white paper and tucked it right into the box of cards. 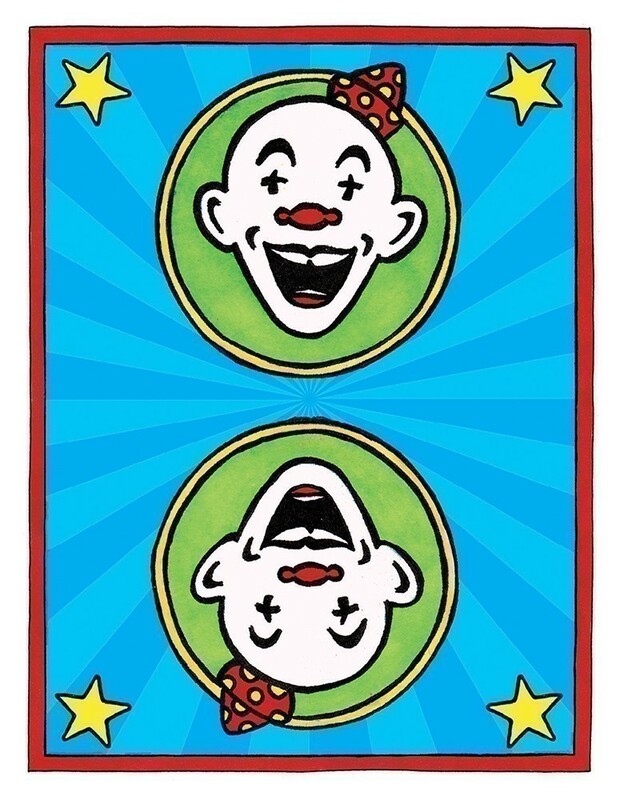 If you love themed decks and have an interest in the circus this deck will be a great addition to your collection. If you’re looking for a working deck that you can use with any client of any age the LeGrande Circus & Sideshow Tarot will work well for you. 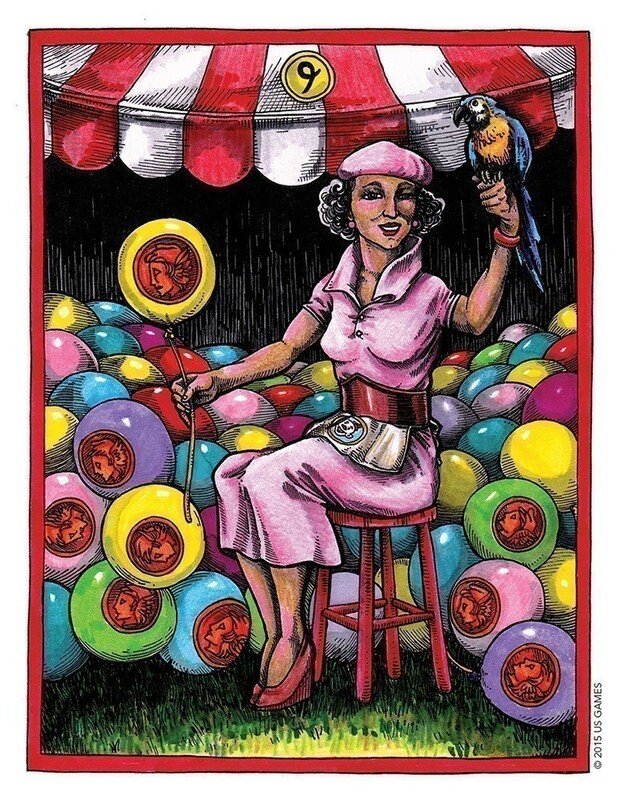 Created and illustrated by Joe Lee, a former professional clown with Ringling Brothers & Barnum and Bailey Circus, this gorgeous 78 card Tarot deck with its bright colors and vintage circus styled posters is guaranteed to please almost every circus aficionado and tarot reader alike. 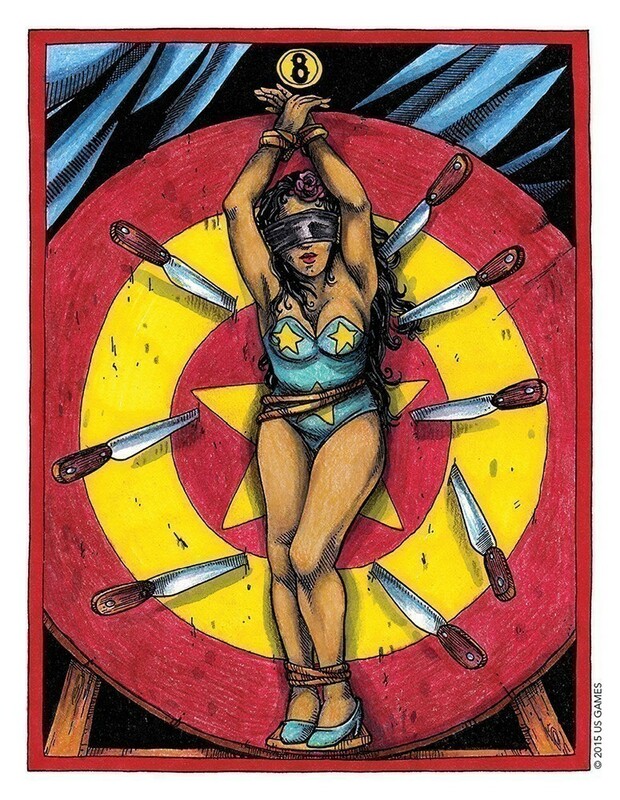 The Minor Arcana, a depiction of day to day life, reflects the quirky and unparalleled circus lifestyle with its high wire performers, juggling acts and cast of characters unique to this big top venue.